We're building a "new generation" VFW from the ground up. 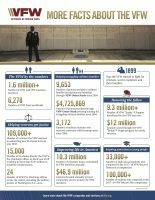 Created by the Veterans Coalition in Middletown, the One Sheet Read provides a lot of information for Connecticut National Guard members and military veterans. Thanks Service Officer Gabe! The Veterans of Foreign Wars of the United States New Haven Post 12150 Incorporated is registered with the Connecticut Secretary of the State (business ID: 1184039) and designated as an IRS Section 501(c)(19) veteran service organization EIN ( 47-4695951), which is eligible to receive tax-deductable charitable contributions. 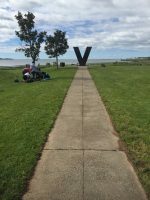 Formed and chartered in 2015, the “new generation” VFW New Haven of predominantly Post-9/11 veterans does not have a permanent post home; however, it is already the largest VSO in Connecticut’s second biggest city and achieved All-American status in 2017. 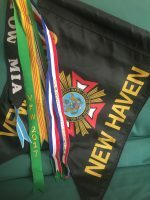 VFW New Haven is in the Second District in the Department of Connecticut of the national Veterans of Foreign Wars organization. Meetings are the second Thursday at 7:10 p.m. at the Knights of St. Patrick (1533 State Street). 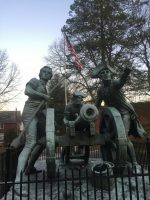 The best way to reach the VFW New Haven is to email (veterans AT vfwnewhaven.org) or call (203-443-1643). STAY INFORMED: Receive email news and event info. Chartered in 2015 by mostly Post-9/11 combat veterans, we were All-American in 2017 and continue to serve, grow, and have fun. 7:10 p.m. on the second Thursday of the month at the Knights of St. Patrick’s (1533 State Street, New Haven, Connecticut 06513).